Details about the unprecedented raid by security forces on a data center of leading telecom MTN have emerged. The raid happened Monday this week at about 5pm according to a complaint lodged by the telecom company to the Executive Director Uganda Communications Commission, Eng. Godfrey Mutabazi. In a letter dated July 3rd – the day after the raid – MTN’s Ag CEO Anthony Katamba told Mutabazi that four men purporting to be ISO agents invaded the Data Center located in Mutundwe. Katamba says the men “kidnapped” one Moses Keefa Musasizi, who is the Manager Data Center Facilities at Huawei, the company contracted to manage access to the facility. The CEO says Musasizi was taken to ISO offices in Nakasero where he was held until 9pm in the evening before being taken to the data center and forced to provide access for the men. He adds that Musasizi was forced by the agents to disconnect four servers in the data center, all of which was captured on CCTV. The disconnection, according to the CEO, impacted a number of services including; processing of call data details and resolution of customer queries; processing of service information for different MTN products, as well as processing of business reports. The MTN CEO described the raid as an act of illegal trespass, and revealed that the company has already filed a case of illegal intrusion to police and still awaits investigations. “It is important to note that MTN has not received any search warrant, court order or any request (for the search),” he said. In the midst of the raid, Katamba says the company called the Minister of Security Gen Elly Tumwiine, as well as the Director General ISO Col. Frank Bagyenda Kaka. 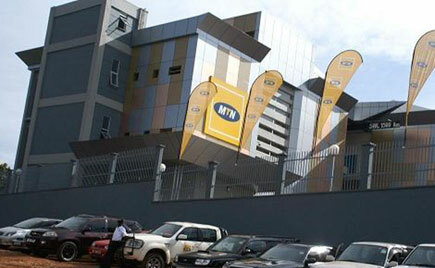 MTN is now calling to government to deploy police officers to secure both its data centers at Mutundwe and Mbuya. “This incident poses a serious security risk to our communications infrastructure and customer data, which are protected under the Uganda Communications Act (2013) ,” Katamba stressed. It still remains unclear what prompted the raid on the MTN data center. Speaking to us about the incident earlier today, UCC boss Mutabazi said his commission had not sanctioned it and he only learnt about it from MTN.